My husband and I have a good friend, Sam, who says he loves my posts on SpitfireMom. We’ve had some great conversations that have stemmed from my writing (the most revelatory that we both have gay moms!) but the one theme that keeps popping up between us is that he wishes there was something similar out there for a guy like him. Sam is a single dad to one of the most delightful young women I’ve ever had the pleasure of knowing. His daughter is bright, athletic, mature, playful, and just plain fun. Our boys worship her. Any babysitter who will play soccer and lacrosse with you and then head inside to make chocolate chip cookies is a keeper. They have a sweet and supportive relationship. He adores her, and the feeling is clearly mutual. So I started looking for a SpitfireDad equivalent. Although I haven’t found our exact male counterpart, I was pleased to find that the daddy blog universe is growing exponentially on Instagram. 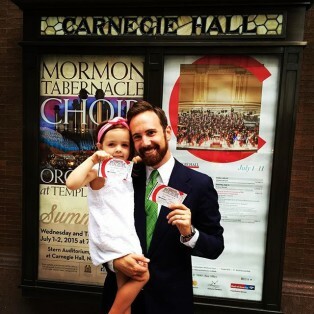 Here are four dads you’ll love to follow. Designer Daddy – Brent Almond started up the Designer Daddy blog a year after he and his husband adopted their son. Brent is a graphic designer and illustrator. 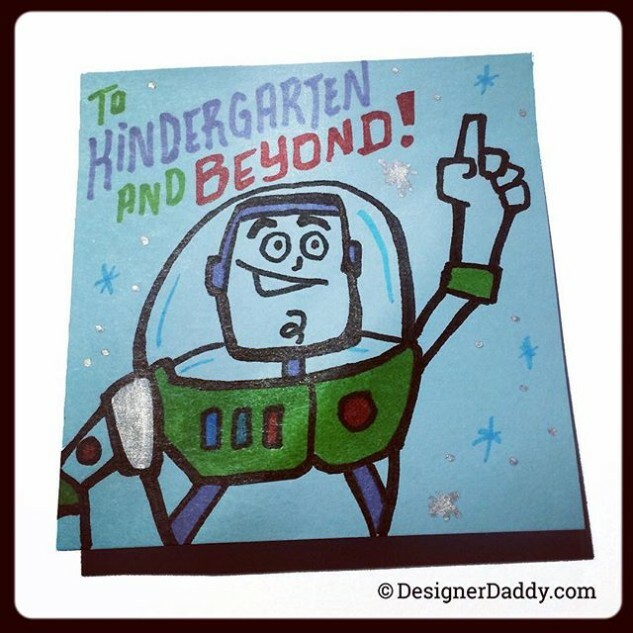 His blog is super fun, as is his @DesignerDaddy Instagram account, but it’s his @SuperLunchNotes that I love most. The lunch notes he draws on his son’s napkins are adorable, inspiring, and so, so fun! Bonus – he sells the napkins in his Etsy store if you’re not so artistically inclined. @LifeWithMicah chronicles the daily adventures of Micah Quinones, a fun-loving, spunky and determined baby boy with a model mom and designer dad. Micah was diagnosed with Down Syndrome when he was three months old. 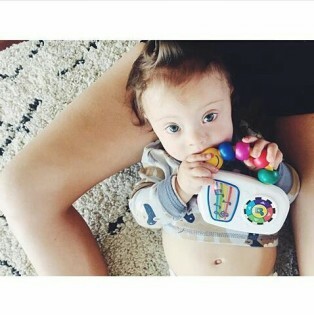 His mom uses his Instagram fame in part to give hope to other families facing a Down syndrome diagnosis. @TiesandFries is married to Naomi of the Love Taza blog. They have three adorable kids and are happy New Yorkers. @DrBobbyBones, aka Dr. Bob Cho, is the other half to Joy Cho of Oh Joy! He’s also a surgeon and daddy to two of the most beautiful little girls you’ll ever see. Bob’s pictures of their girls will melt your heart. I’ll keep looking for some Spitfirey dads to share with you (and Sam). If you have suggestions, please fill us in! Share on our Facebook or instagram with the hashtag #dadsofinstagram !